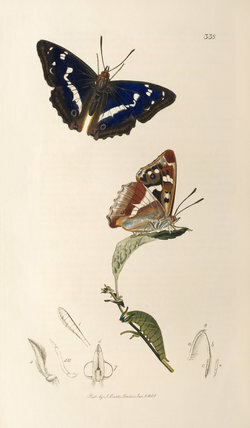 Engraving of Apatura iris, Purple Emperor Butterfly, depicting the adult and caterpillar. One of 769 hand coloured plates from Curtis's British Entomology. vol. 3. pl.388. 1823-1840.